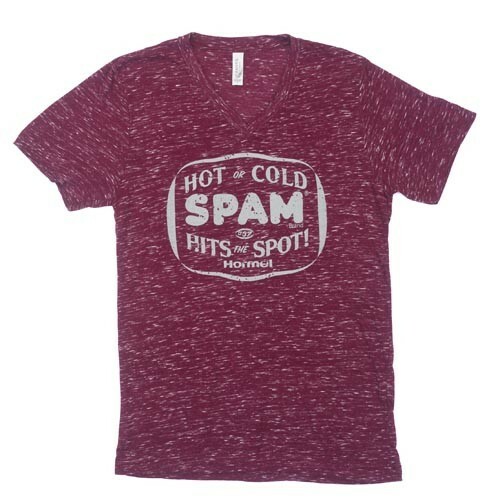 "Hot or Cold" SPAM® Brand logo on jersey t-shirt. Marbled maroon v-neck with imprint in grey. Available in adult sizes S-XXL.